This price is for 1 pcs of receiver(RX). !!! This product supports 1pcs of SENDER to maximum 253pcs of RECEIVER (over Swtich). Buy More Receivers Now. hdmi extender receiThis HDMI over IP extender is designed to convert HDMI signal to standard TCP/IP and transimit by internet cable or Lan.With the advantage of TCP/IP standard,it can transmit HDMI signal source from HD STB,DVD,Sky HD box, HDMI display card etc to HD projector, DLP,LCD,LED and other audio visual equipments. Auto Adjustment to Match Cable Length Adjust the specifications automatically for different cable length 1-160m (10m 20m 30m 40m 50m 60m 70m 80m 90m 100m 110m 120m 130m 140m 150m 160m) to achieve the best display hdmi extender receive 1. Apply M-JPEG technology to process image compressing. The loss of image quality is very small;480i@50Hz,480p@60Hz,576i@50Hz,576p@50Hz,720p@50/60Hz,1080i@50/60Hz,1080p@50/60Hz 1080p@24Hz . 2. Supported HDMI format: 480i@50Hz, 480p@60Hz, 576i@50Hz, 576p@50Hz, 720p@50/60Hz, 1080i@50/60Hz, 1080p@50/60Hz 1080p@24Hz 3. HDCP compatible. 4. 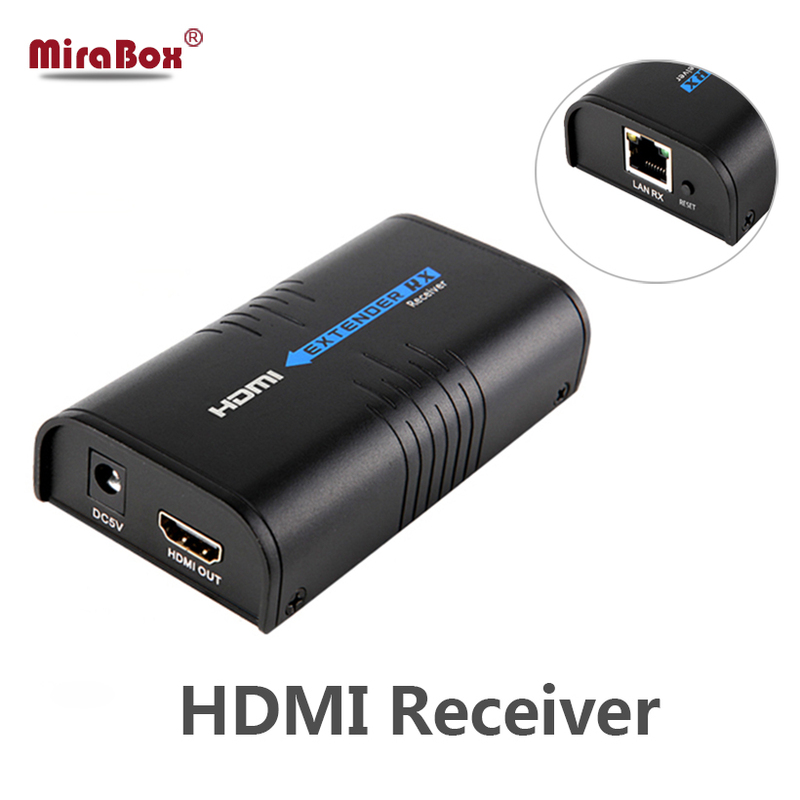 It can transmit HDMI 1080P signal to above 120m by using UTP Cat5e/6. 5. It can transmit by Lan. 6. Support Lan bandwidth: 100M 7. Extend 120m longer by adding one more ethernet router 8. The data could be transmitted over switch, router and other ethernet device, and extend the transfer distance to over 20km. 9. It also could work in broadcast mode, like HDMI splitter, broadcast HDMI signal from 1pcs of SENDER support maximum 253pcs of RECEIVER (over Swtich).